Downed aircrew of both sides had reason to be thankful to the high speed rescue launches of the RAF Marine Craft units during the 1939-45 war, and of these launches, the 63 ft British Power Boat Type 2 design figures prominently in wartime operations and unashamedly came to be regarded as the Spitfire of the ASR units. The sweeping curve of the deck justiyably earned it the name 'Whaleback' among its crews and gave some hint to its speed which was a handsome 36 knots. 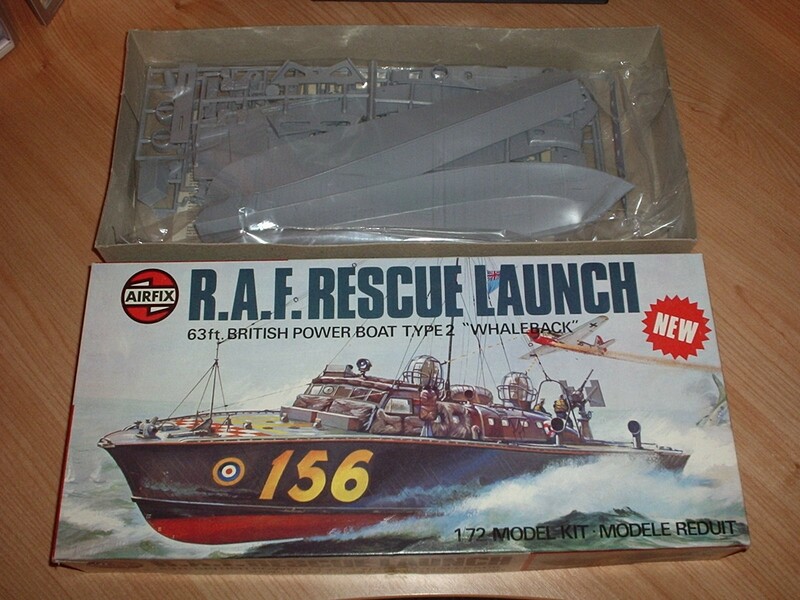 Now this famous boat joins the Airfix range of high speed craft. Features of this 158-part kit include the two gun turrets which were so distinctive on the real boat, the essential anti-flak protective padding around the wheelhouse and cabin, and a stern-mounted 20 mm Oerlikon frequently fitted to these launches during later periods of the war.